Students may apply to begin study at Penn State Behrend's Black College of Business in the fall, spring, or summer semester. Admissions decisions are made on a rolling basis. To apply, students must submit two official transcripts, official GMAT scores, a statement of purpose, an application fee, and three recommendation forms. Candidates with the ...Students may apply to begin study at Penn State Behrend's Black College of Business in the fall, spring, or summer semester. Admissions decisions are made on a rolling basis. To apply, students must submit two official transcripts, official GMAT scores, a statement of purpose, an application fee, and three recommendation forms. Candidates with the highest GMAT scores and GPA are given priority in admissions. Candidates are evaluated based on the strength of their combined GMAT score and GPA; therefore, a lower GMAT score can be compensated for by a higher GPA, or vice versa. International applicants whose first language is not English must meet all of the above requirements and must also submit an official score report for the TOEFL or IELTS. Behrend MBAs enjoy “state-of-the-art” classrooms that “allow us to utilize multimedia learning,” which they very much appreciate. The campus itself is “very clean, safe, and attractive,” “not so large that it is overwhelming but still offering most [of the] opportu­nities of a large school.” And here’s something you rarely hear at any school, much less a state institution: there’s “plenty of parking” here. Campus life offers “a number of clubs and organizations for students,” and “the school also hosts a very wide array of speakers, and events,” but most of these events seem planned primarily for undergraduates. “There are no solely business school programs of any kind. The most activity available is an unofficial happy hour at the end of the semes­ter,” one student writes. There’s a clear divide among the Behrend MBA population. “The morning sessions of class are more geared toward the younger generation,” while “the evening sessions [con­sist] more of your business professionals who take things more seriously.” The student body includes “a large number of engineers due to the engineering school at the Behrend School.” Several full-time students reported that they were only attending full time as a result of the down economy; otherwise, they’d be working and attending part time. A high percentage of Penn State Behrend students are currently employed in profession­al positions and are pursuing an MBA with the intention of improving their career opportunities at their current companies. In fact, a considerable number of Penn State Behrend students receive tuition assistance from their employers. Some, however, see their MBAs as a stepping stone to a new career (or, for students pursuing MBAs straight out of college, simply a career). For those, the Penn State Behrend Academic Advising and Career Development Center serves both the undergraduate and graduate popula­tion at the college, including students in the MBA program. The CDC hosts career fairs, on-campus recruiting and interview events, seminars, and workshops. A growing num­ber of organizations participate in Penn State Behrend career fairs each year. Employers who frequently hire Behrend MBAs include: Deloitte Consulting, Paradigm Wave, Ingentor, GE Infrastructure-Transportation Systems, IBM, Erie Insurance Group, National City Corporation, Graham Packaging, HealthAmerica, and the Pennsylvania State University. Knowledge Park, Economic Research Institute of Erie, the RFID Center of Excellence, the Center for Credit & Consumer Research, the Center for Organizational Research and Evaluation (CORE), Center for Life Long Learning, Pennsylvania Sea Grant, Center for Mathematical Biology, Center for Navigation, Communication and Information Systems, School of Engineering Applied Energy Research Center, Plastics Technology Center, the Plastics Computer-Aided Engineering Center, the Sample Center for Civility and Manners, and the Institute on the American Dream. Study tour to China for 3 weeks in Summer 2014. 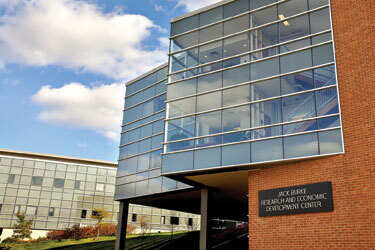 Want more info about Pennsylvania State University - Erie School of Business Part Time MBA? Get free advice from education experts and Noodle community members.